2016, digital, based on and utilising A. Michael Noll’s Gaussian-Quadratic, 1963. This entry was posted in Art, Early computing and tagged 1963, 2016, Art, computer art, digital art, early computer art, early computer graphics, Early computing on October 11, 2016 by littlefletcherisms. Whilst browsing the internet last night I came across the Scanimate. Now I was already familiar with the machine but then had the idea that I could use it with my writing. Now for those who aren’t familiar, the Scanimate is a video image manipulation device (a sort of video synthesizer, although I would prefer to call it a video Mellotron as it works with prerecorded video and stills) that originated in the early 1970s, being used extensively on TV shows as The Electric Company, Sesame Street and Logan’s Run. Let’s see it in action. The only problem is there are only two working Scanimates in the whole world, both owned by the same per, Dave Sieg, in North Carolina. Now I cannot just hop onto a plane and get there and it’s going to take far more than Patreon money to fund a journey. So it will have to wait for a while. This is of course unless I collaborate remotely with Sieg, but I would much prefer hands-on involvement with the project. It seems like a very interesting machine to work with. I intend to email Sieg shortly regarding my interest in working with the Scanimate. I would be honoured to. This entry was posted in Early computing and tagged computer art, Experimental poetry, experimental writing, scanimate, video image manipulation device on August 27, 2016 by littlefletcherisms. So I came across this video entitled Poemfield No. 2 from 1971. It uses the BEFLIX graphics system from 1964 and is entirely computer-generated save for the music and colourisation. Be aware that it is very seizure-inducing. It got me thinking about the use of computer animation to present my works. Now of course that is a dime-a-dozen these days, but what if I was to simulate the BEFLIX system in some way? Retro is in at the moment and I much prefer ancient computer graphics to the streamlining of today. Not to mention it is quite dramatic-looking. I think it would leave more an impact on the viewer than any of today’s graphics suites. This entry was posted in Early computing, Poetry and tagged beflix, computer aided writing, computer art, early computer art, Early computing, poemfiend no. 2, Poetry, retro on August 4, 2016 by littlefletcherisms. Were I American, I’d vote for Jill Stein as her platforms are closest to Bernie’s. Some may call it throwing one’s vote away or “the spoiler” (cf. Ralph Nader’s popularity in 2000 allegedly costing Al Gore the election, although some Gore voters in Florida would beg to differ), but there really is no other option. Gary Johnson seems a little too right-wing for my liking and the other parties are either too extreme or have absolutely no chance of being viable. As the author of a Rational Feminist Manifesto I am not liking number one at all. They are implying that her being a woman is the main quality, which isn’t what feminism is all about. Besides, we’re heading for a genderless society where distinctions between male, female and everything inbetween will be blurred. Her gender doesn’t matter to me, especially in this western society where there are very few barriers stopping women from doing whatever the hell they want. Regarding the second point, she may not be Donald Trump but she’s still Hillary Clinton. The Hillary nomination is going to lead to a Trump presidency. Everyone’s been saying it, but the Democrats still nominated her. As a result, half the delegates walked out and the party will remain fractured until they come to their senses and dump her. Which will be forever. This entry was posted in Early computing and tagged bernie sanders, donald trump, hillary clinton, jill stein, politics, us presidential election on July 27, 2016 by littlefletcherisms. Made of course with the help of this fantastic site. SR Fletcher, Butterfly, digital media, 2016, 500×500 pixels. This entry was posted in Art, Early computing and tagged Art, butterfly, computer art, lissajous, retraux on May 18, 2016 by littlefletcherisms. This is highly addictive even without mathematical knowledge. The resultant pieces remind me of oscilloscopes or early computer art, so I edited them accordingly. There’s still room in this high-tech era to appreciate such pieces. 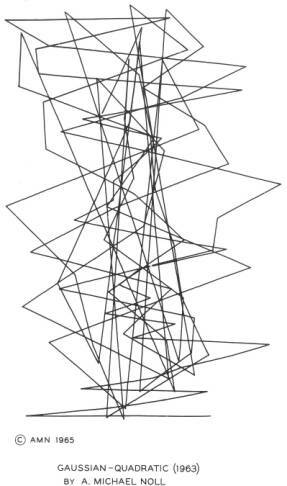 This entry was posted in Art, Early computing and tagged Art, early computer art, lissajous, mathematical art on May 15, 2016 by littlefletcherisms. E: Hello, I am Eliza. E: Do you believe it is normal to be Sinead? S: I am not a normal person at all. E: Do you believe it is normal to be not a normal person at all? S: It’s pretty hard to define normal, but I’m not normal in that my way of thinking differs from that of the control population. E: Did you come to me because you are not normal in that your way of thinking differs from that of the control population? E: We were discussing you, not me. E: OK… “No, you came to me for something for your blog. Hope me don’t mind :)”. Tell me more. S: Well, my blog is an experimental writing blog, and I have an interest in early computer programs which attempt to simulate human behaviour. E: What do you think machines have to do with your problems? E: OK… “Well, your blog is an experimental writing blog, and you have an interest in early computer programs which attempt to simulate human behaviour”. Tell me more. S: Well, the quote marks aren’t necessary when you’re paraphrasing me. E: Perhaps you would like to be paraphrasing you? E: Can’t you be more positive? E: OK… “Well, the quote marks aren’t necessary when I’m paraphrasing me”. Tell me more. S: Oh, how I wish you’d learn. This entry was posted in Early computing, experimental writing and tagged computing, deji, Early computing, eliza, experimental writing on March 19, 2016 by littlefletcherisms. Big news from the big snow!